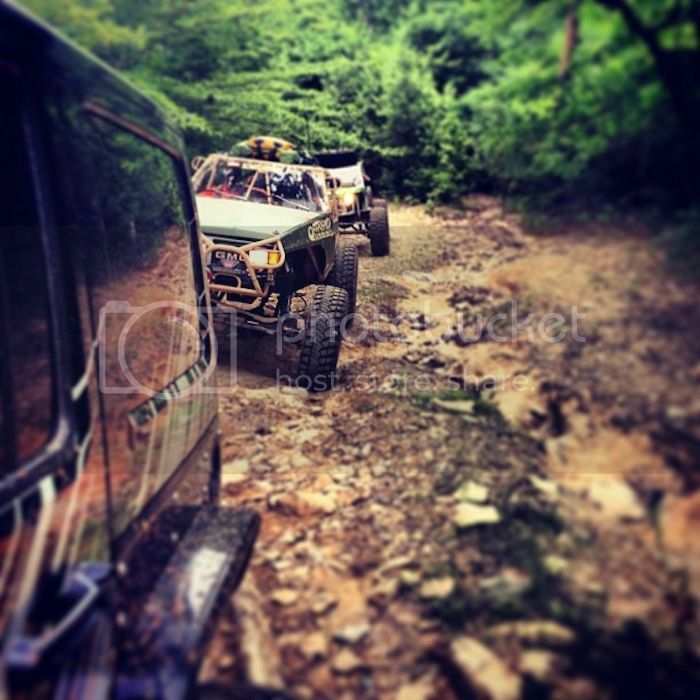 A couple of months ago I was at an Ultra4 race with my buddy Jimmy Jack. He was telling me about how much fun he had on Ultimate Adventure last year, and how I should go sometime. I thought about it for a minute and sent my buddy Dave Schlossberg from Synergy Manufacturing a text and asked him if I could go with him to the 2013 Ultimate Adventure. Two minutes later he replied "sure, let's take Wes!" Needless to say Jimmy was impressed with my efficiency! Fast forward to July 7, 2013. I'm sitting at the airport in Atlanta, GA, after spending the past week participating in the 2013 Ultimate Adventure. The UA has been going on for over a decade by the folks at Petersen's 4 Wheel and Off Road magazine. 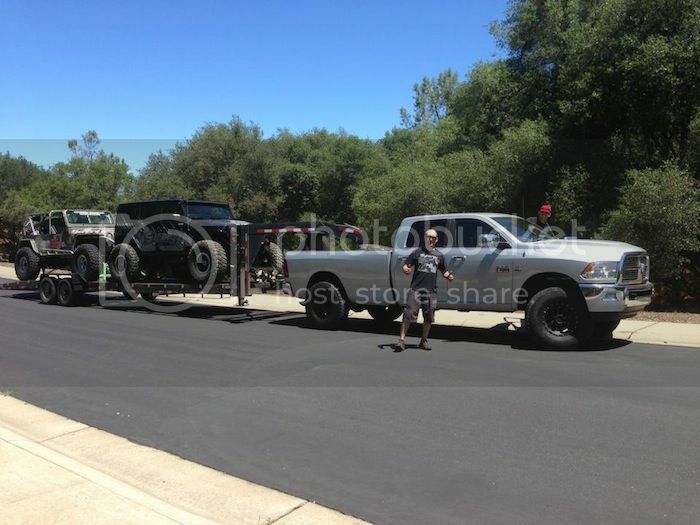 Jimmy and Tony getting ready to leave CA on a 2,600 mile road trip. 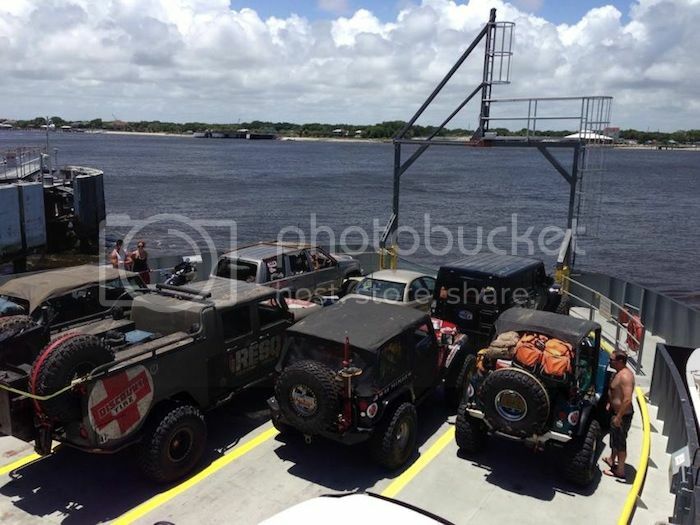 This year the event was in the deep south and consisted of about 1,500 miles of mud, rocks, sandy beaches, and plenty of pavement. Before the Ultimate Adventure could begin, we had to get there. Since we live in Northern California and the UA was in the SouthEast, that was one hell of a road trip. 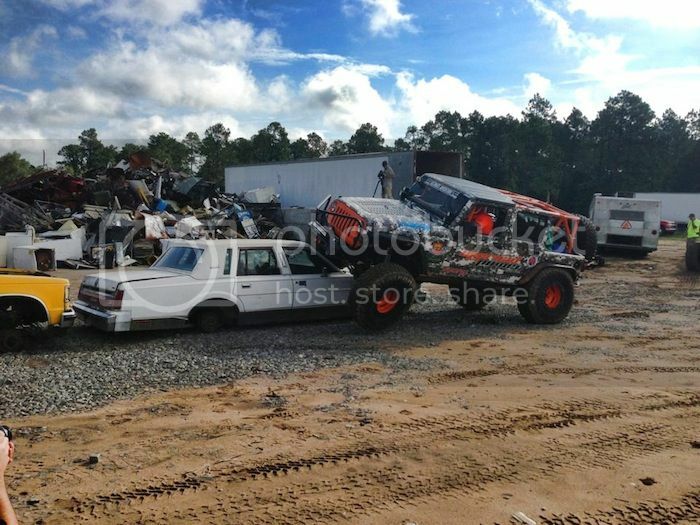 While I was scratching my head trying to figure out how I'm going to take so much time off to drive 2,600 miles each way, I get the text from Jimmy Jack: "Man I don't think my tow rig can make it that far, not sure what I'm going to do." The solution instantly came to me. Jimmy and Tony could take Dave's truck and two car trailer and haul both of our rigs and Dave and I could fly! Sounded like a win-win deal to me! 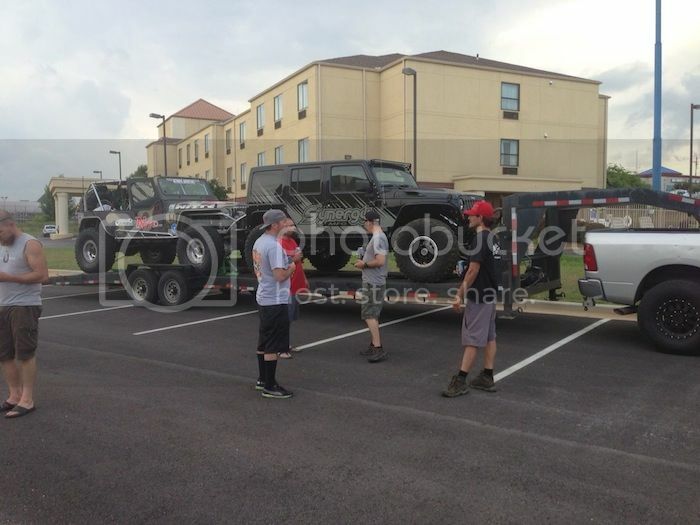 Jimmy went for it, and the pre adventure of getting our rigs to Alabama was in motion. Now keep in mind that when running UA, you never know where you're going. Rick Pewe, the editor of 4WOR is the only one who knows. We are only told where we will start and were we will finish. There are also no tow rigs allowed. You must drive your rig the entire time and haul everything for a week long adventure in your 4x4 and be self-sufficient. Our starting point this year was in Oxford, AL. Jimmy and Tony finally arrived after a brutally long drive with multiple flat tires on the trailer, monsoon like rain, and road construction everywhere. We were happy to see them, and they were very happy to get the hell out of that truck! We stayed at a hotel in town where Rick and the crew did a tech inspection of each rig and handed out some great swag from the supporting sponsors. The next morning we all headed to Morris Mountain ORV Park (made famous by the "rock bouncers") for a day of great four wheeling in the hot humidity. It was fun to run trails such as "Los Primos" which I've seen on YouTube. The carnage report was impressive on day one with popped beads, a broken ring and pinion, dislocated coil spring, and some engine troubles on the new rigs. We spent our last night in a comfy motel and then we were up early for an all day road trip to our next destination. Rick doesn't choose a direct route and he usually avoids freeways at all costs. In fact we took several dirt roads on our road days and made a few pit stops at some junk yards and other random spots. Trying to look at the GPS and figure out where we were going would just drive you bonkers as it sometimes appeared like we were going in circles! We rolled into our next wheelin' spot River Rock Off Road Park located in Milledgeville, GA, late Monday night and set up camp in the rain. RRORP is currently not open to the public but Steve was gracious enough to open it up for us to enjoy. The rain took most of the day off and we all enjoyed some great wheelin' that consisted of some good climbs sprinkled with slippery rocks large and small. There was plenty of carnage consisting of body damage, broken ring and pinions, and more as the sun began to set and we were headed to our last obstacle, the rain came. This wasn't California rain, it was coming down in a torrential downpour causing flash floods on the trails. 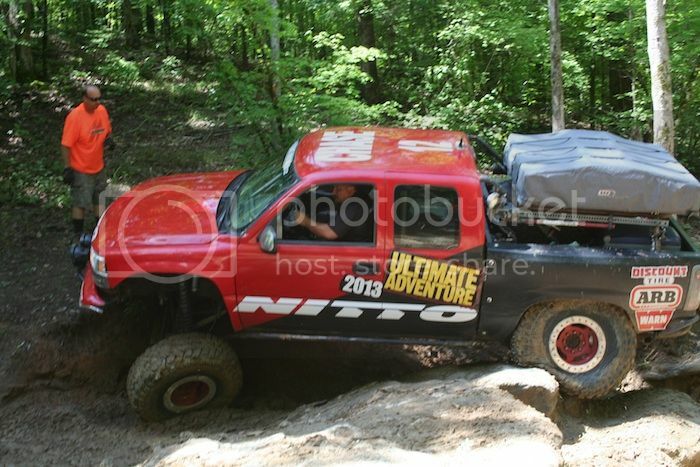 A few guys gave the nearly impossible last trail a shot in the rain and all ended up winching. We all headed back to camp where we were greeted by Steve and his crew who had a whole hog and all the fixin's waiting for us. It was delicious and well appreciated after being on the trail all day. After dinner I discovered that my tent wasn't all that water proof anymore and pretty much everything I had was now wet. I would remain "damp" for the rest of the week! My disdain for mud is no secret. Living on the west coast my whole life I never really wheeled in much mud so I just convinced myself it would be a new experience and to make the best of it. 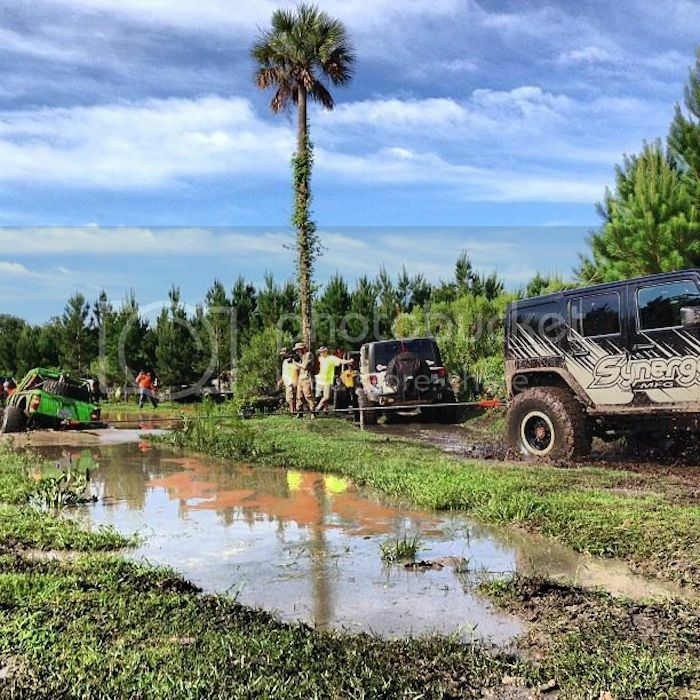 We set up camp at Mud Muckers Off Road Park which is a privately-owned park of about 11,000 acres in north central Florida, about 30 minutes north of Daytona Beach. It's a beautiful piece of property with some really deep, silty, stinky mud! Thursday morning we were treated to a special breakfast prepared by the "cronies". The cronies are all of the volunteers who help make the event happen by helping readers fix their rigs, haul supplies, spot on the trails, etc. Most of them have been a part of UA since it's inception. After breakfast it was time to get dirty. We spent the day flogging through the thick jungle canopy and getting muddy. I'll admit it was a little fun, but I couldn't stop thinking about all the wear and tear all of that mud was going to do to my ujoints, ball joints and other vital components that still had hundreds of miles left to cover! We spent one final night at Mud Muckers and enjoyed 4th of July redneck style with plenty of beer and fireworks. 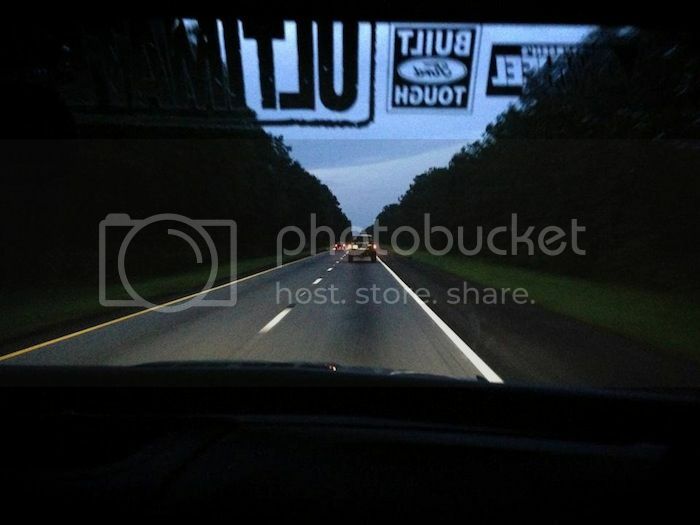 Friday morning we were up with the sun and off for a very long road trip to South Carolina. But before we could head north to South Carolina, we had to take a quick detour south to Daytona Beach! It was awesome driving our 4x4s on the beach and getting our feet wet, even if it was only for a little while. Once we got our quick fix of beaches, it was time to head north. Of course we took the scenic route and even went on a ferry across the river in Atlantic Beach. With several vehicles dropping out on this brutal road trip due to major mechanical issues (blown engine, blown transmission, major electrical issues, etc) it took us 17 hours to arrive at our hotel in Clinton, SC. It was nice to have a real bed and a real shower after being on the road all week! Rick let us sleep in Saturday morning and around 9:30AM we headed to our final wheelin' destination at Gulches Off Road Park in Waterloo, SC. I was worried about all the rain they had been getting and was told that the trails were very tight and fairly difficult so I elected to remove my hard top for the day to avoid smashing it. I'm glad I did as there were definitely a few spots it would have gotten some love on rocks and trees. 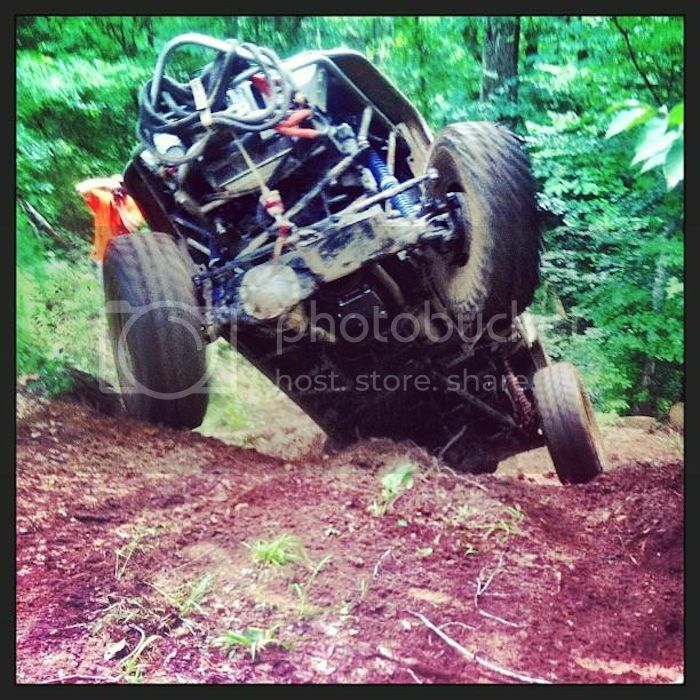 I enjoyed the wheelin' at Gulches. There were some good rocks and limited traction required just the right amount of throttle to make it through the obstacles. Our final obstacle was a doosie, and caused massive carnage to many in our group. 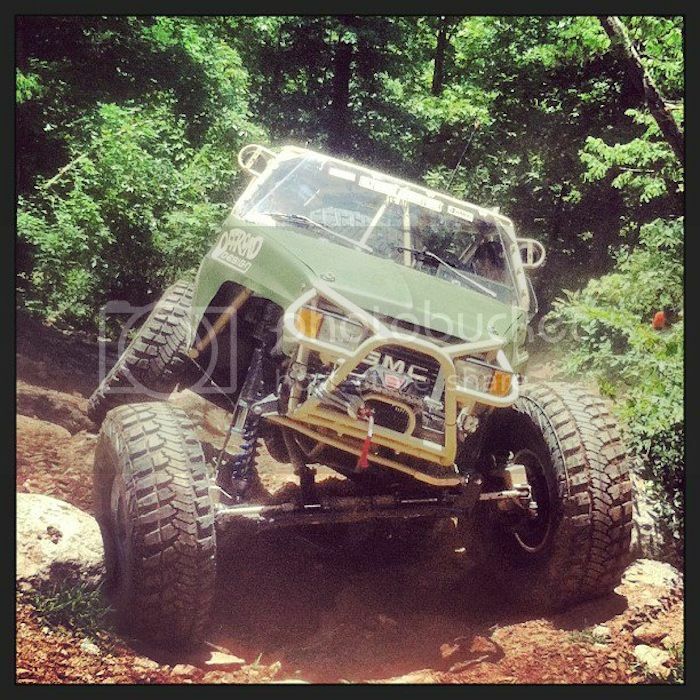 Countless rock sliders were destroyed, skid plates smashed, steering busted, and several drivelines were broke. I tried my first option and just didn't quite have the clearance on my front bumper to make it happen so I had to go to plan B. Plan B required full commitment and full throttle. 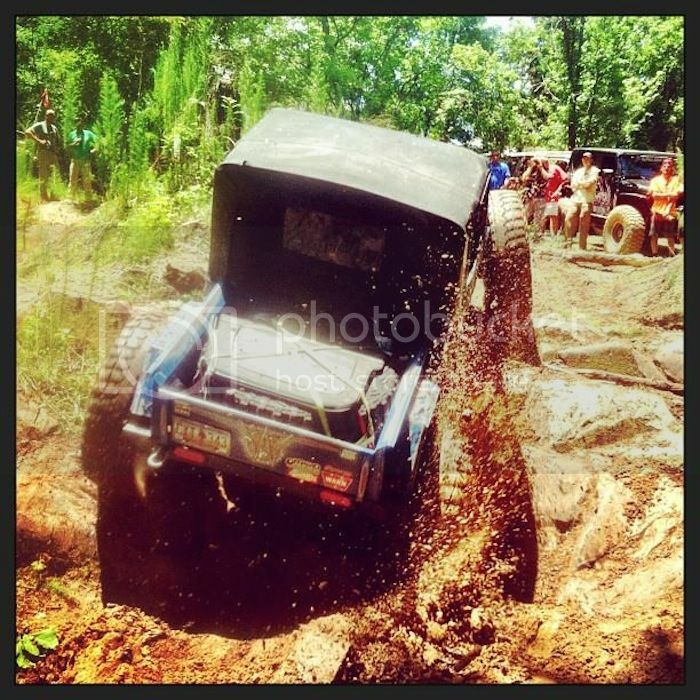 It also required taking out a tree and driving my JK nearly on it's side while at full throttle. If it sounds a little hairy, it was! Luckily I pulled it off without any damage and was pumped to finish the entire week without having to get strapped or winch at all. We headed back to our hotel and had a great dinner at Fatz restaurant hosted by Rick Pewe. Rick handed out "awards" to everyone on the run. I took home the "one shot every obstacle" award, along with the "best couple" award for Dave and I.
I had a blast on Ultimate Adventure. I went to places that I would likely never have gone, and that's what makes it cool. I want to thank Dave Schlossberg and Synergy Manufacturing for letting me be a part of the trip and I hope to do it again sometime! 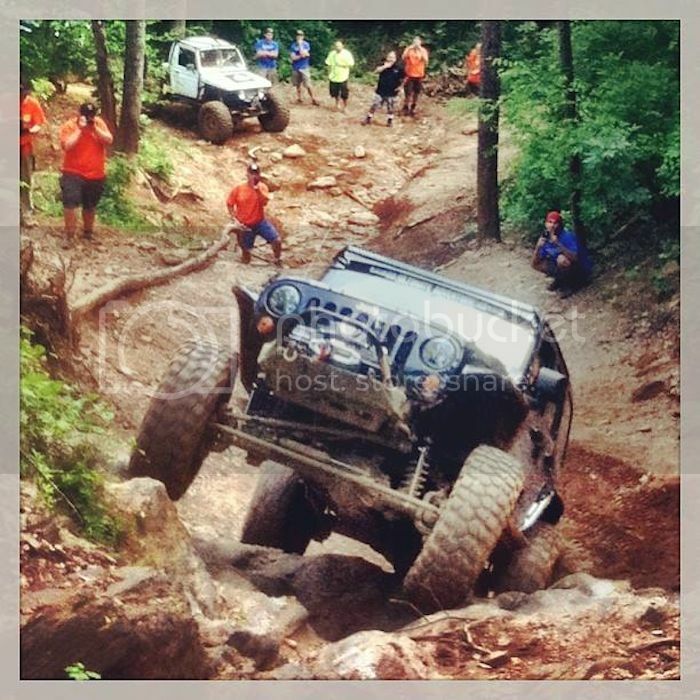 What was the final obstacle at Gulches that caused the carnage? Also wondering how many rigs made it up Los Primos at MM given how wet it's been. Same with RBD. It is an event you don't want to do again, but hope to do next year!!! This was an excellent write-up and i enjoyed reading every bit of it. I'm a big fan of UA & hope to be part of it some day! Great write up. Sounds like you were "fully getting it". Hope to participate in this myself one day! It was great to meet and tour all of you through Gulches. 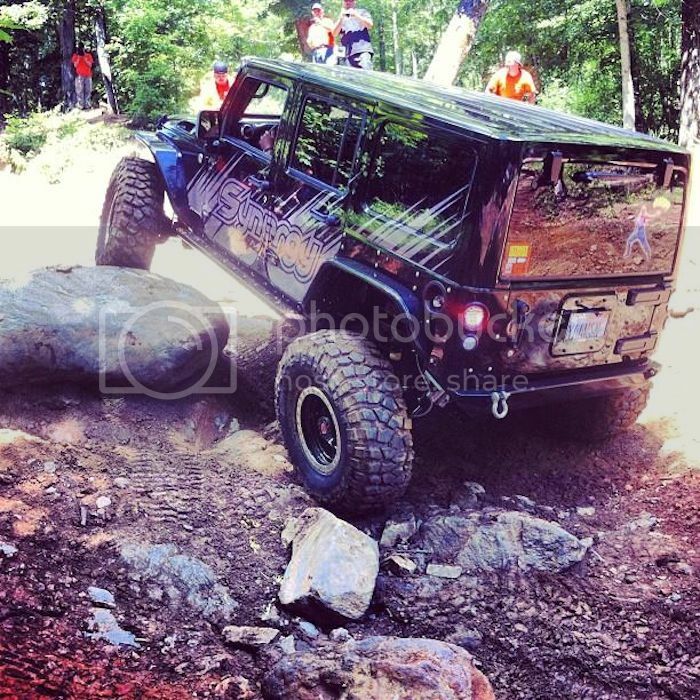 The last obstacle we rode, Shipwreck, has claimed many victims over the years and is one of the more challenging and less forgiving trails at Gulches. I hope everyone had safe and uneventful trips home. Thanks for the write up, I'm researching and hoping to get picked for this year! Posted 04-08-2014 at 11:05 AM by Cooter! My 2013 Ultimate Adventure by Cooter!